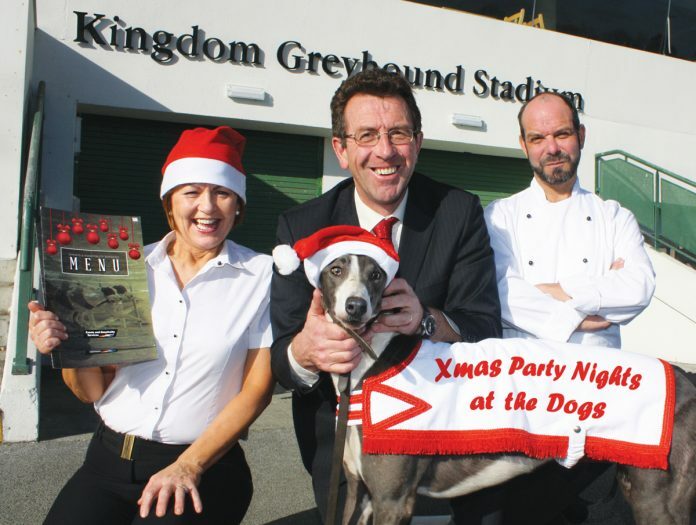 Christmas Party Nights at the Dogs are always a hugely popular night out and according to stadium manager Declan Dowling this year is shaping up to be one of the busiest yet -“Lots of the bigger companies tend to book early for their Christmas party so we’ve got quite a few of those booked in already plus lots of smaller bookings coming in from now on”. The stadium promises a unique experience for your Christmas party where you can enjoy a fun filled night with an unrivalled atmosphere to get you into the festive spirit. From dining in the restaurant or private suites to casual finger food packages, there’s something to suit every budget and group size plus with music after racing each night to dance the night away its great value for the night’s entertainment.